Whether heading outdoors, hitting the gym or simply lounging about inside, comfortably kit yourself out in VX3's Core Training Shorts. Made from polyester, a lightweight feel to the shorts means there's no worry about getting bogged down in them and they're ready to tackle any tough session or for just wearing casually. Featuring an elasticated drawcord waist, side pockets are also a welcome touch for securing your small personal items when on the move. 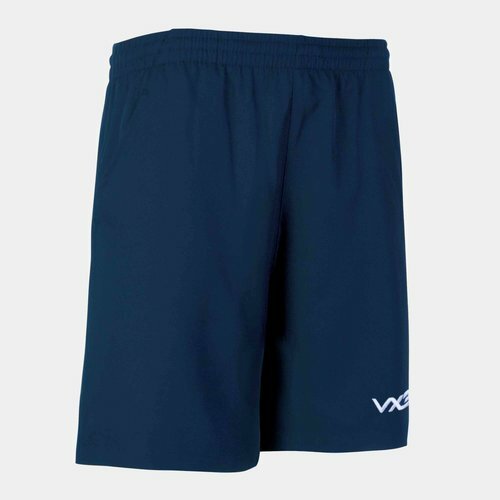 Sporting a plain navy look which features the VX-3 logo in white stitched upon the left leg.